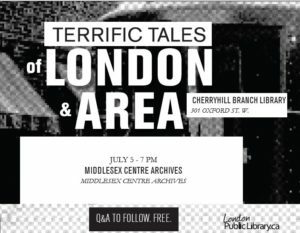 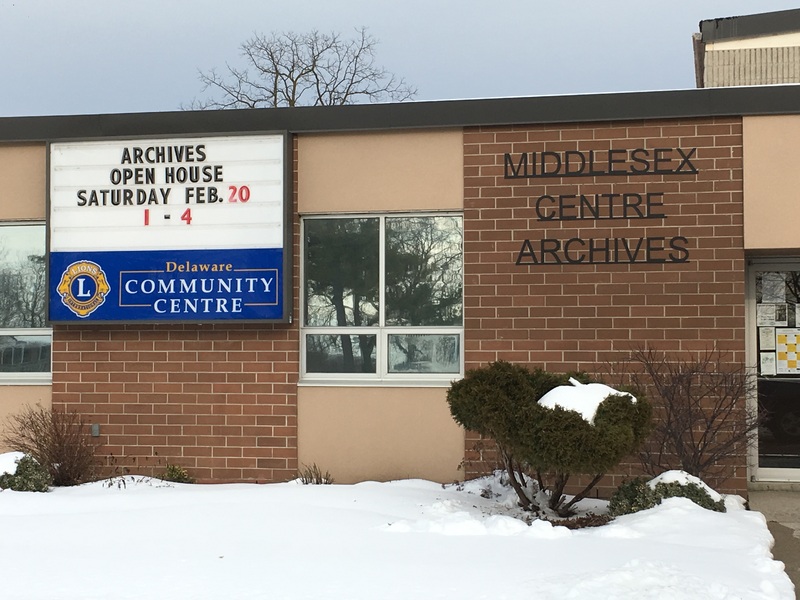 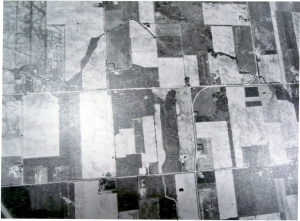 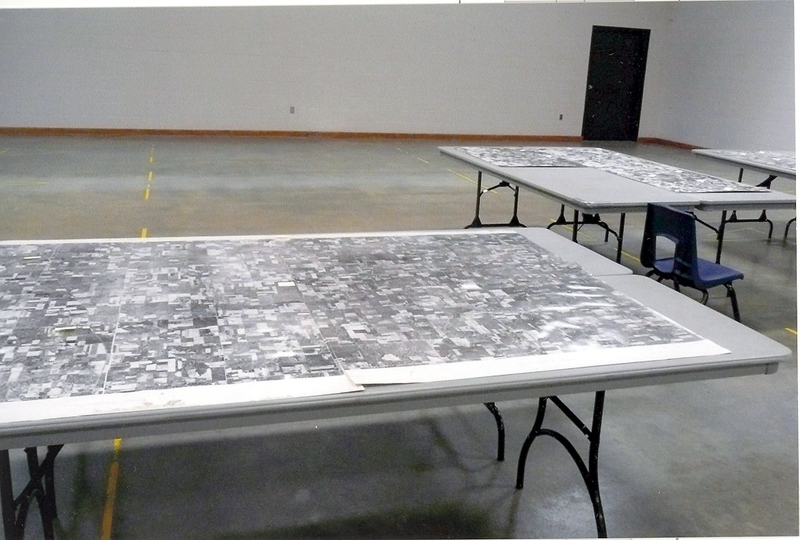 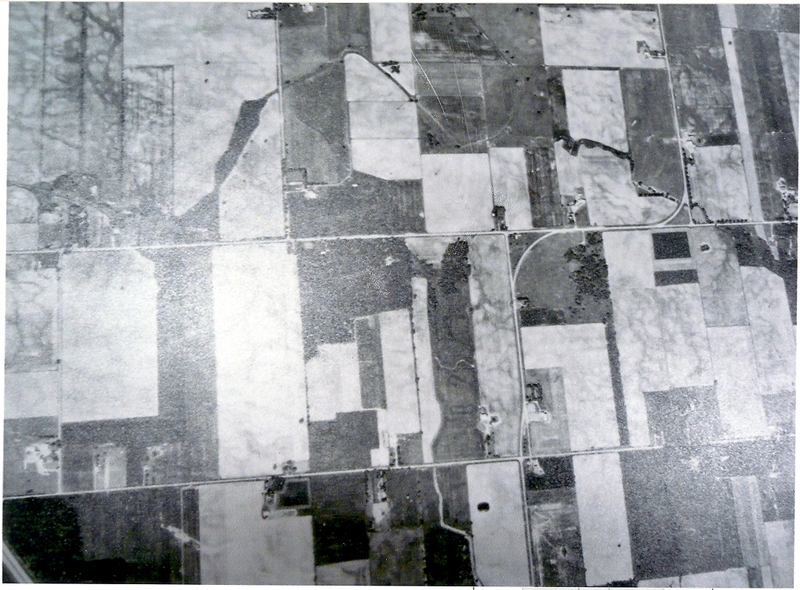 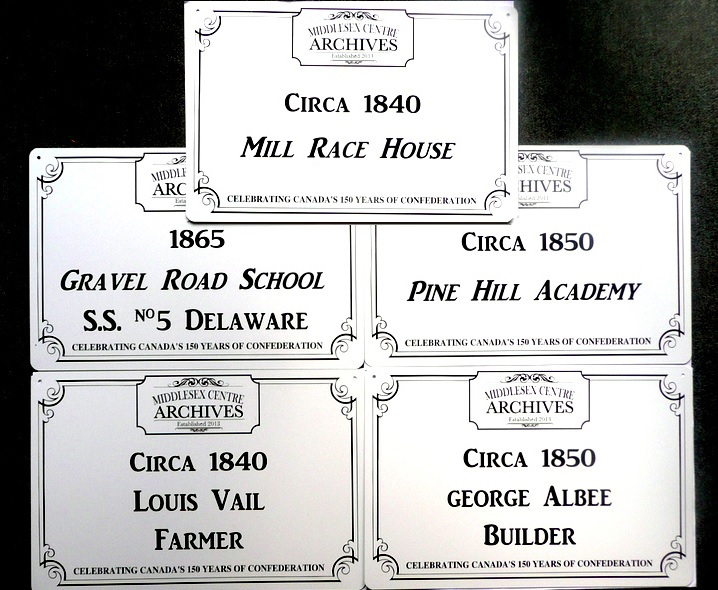 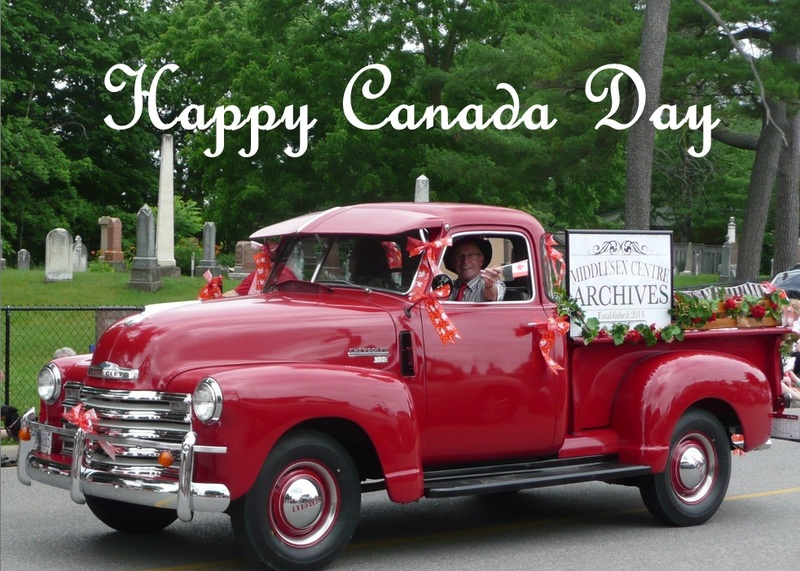 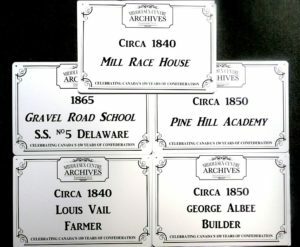 Middlesex Centre Archives is very pleased to be the source for the photos on the heritage panels on the new Foodland store in Komoka – 2018. 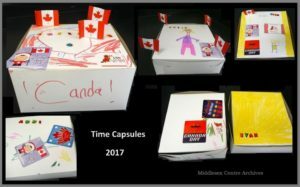 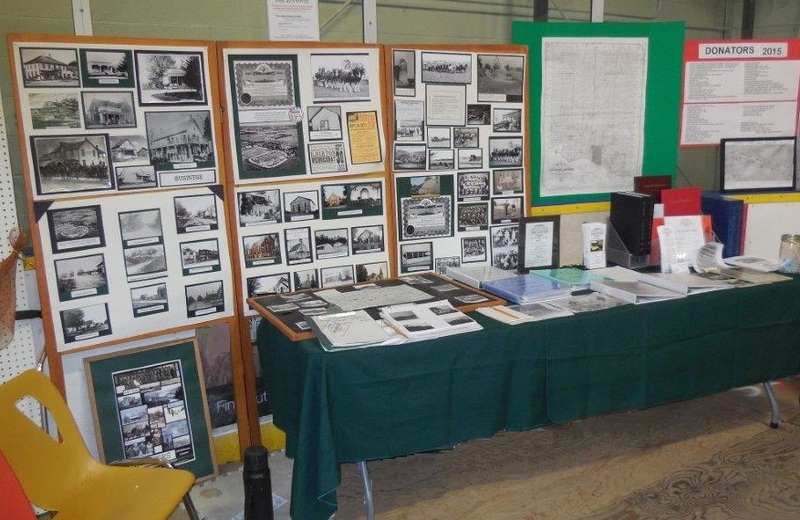 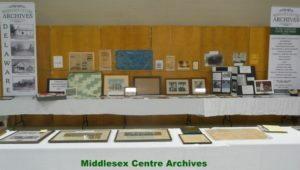 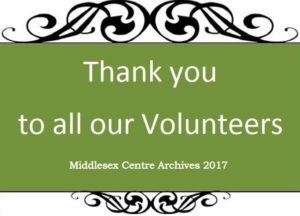 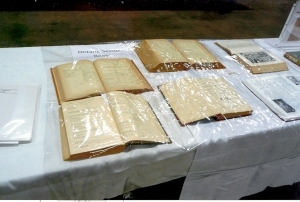 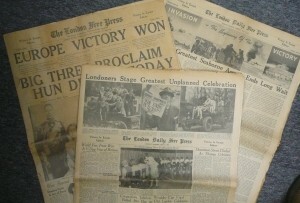 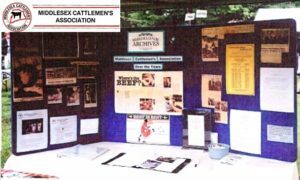 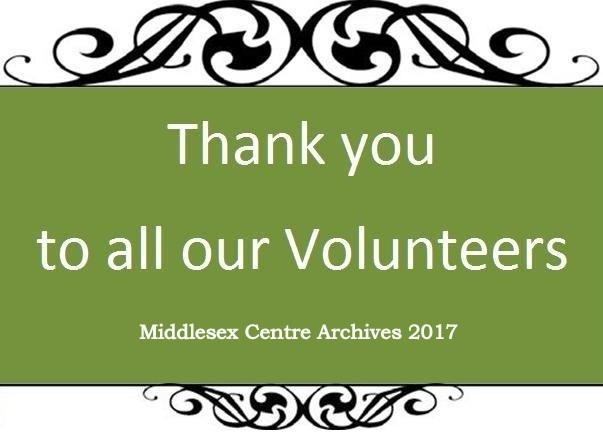 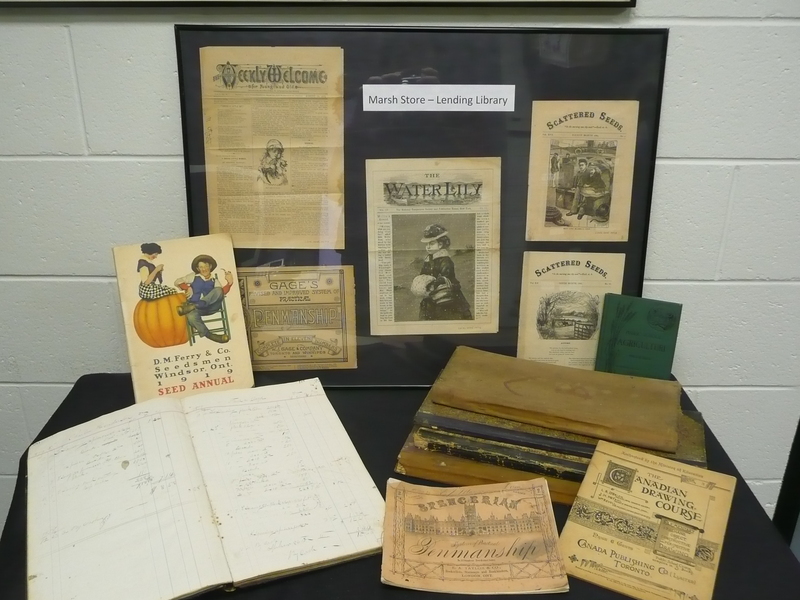 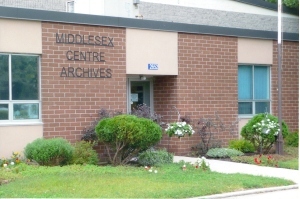 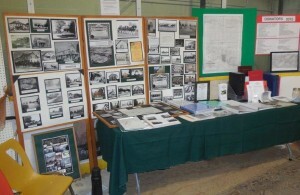 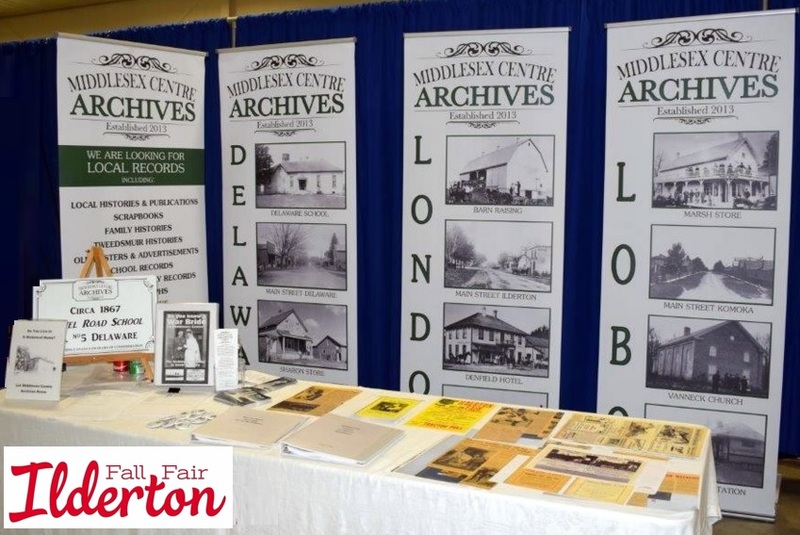 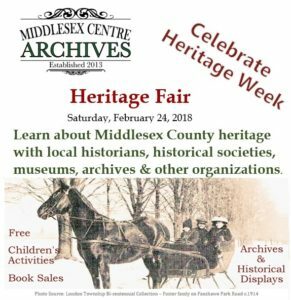 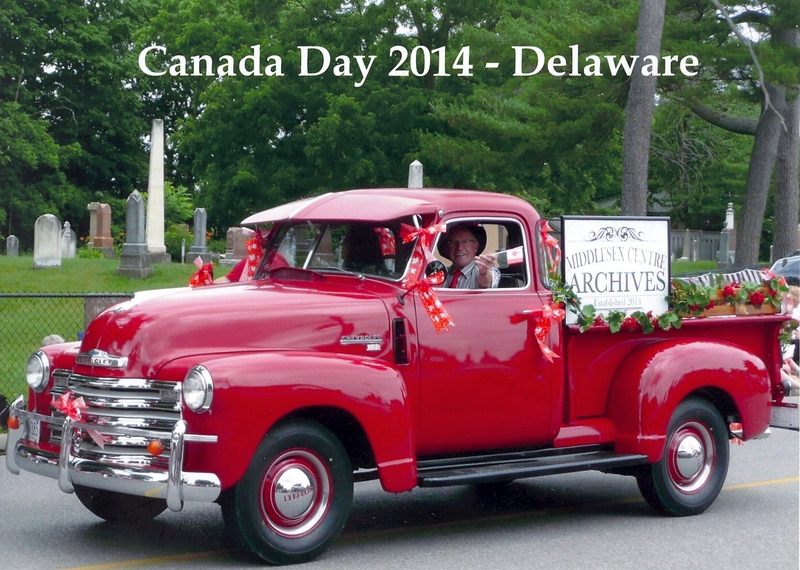 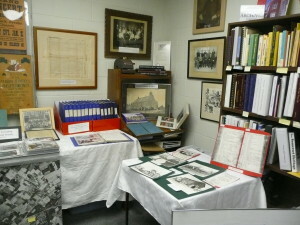 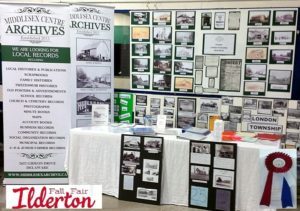 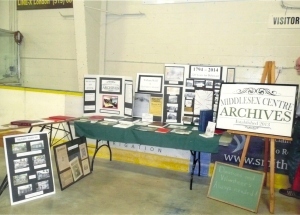 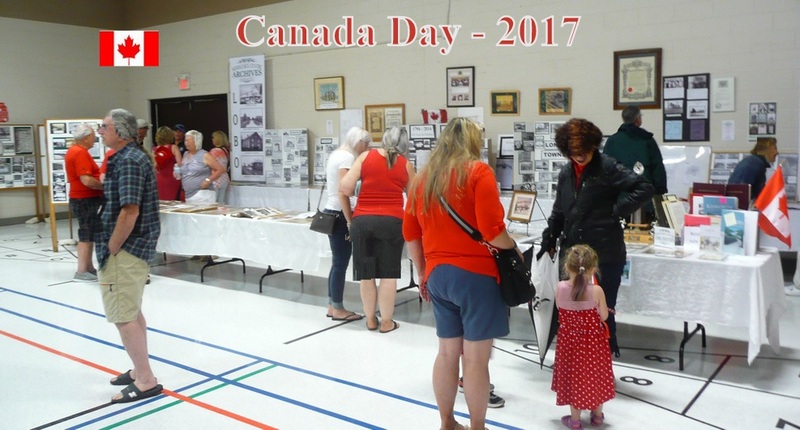 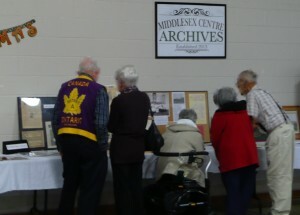 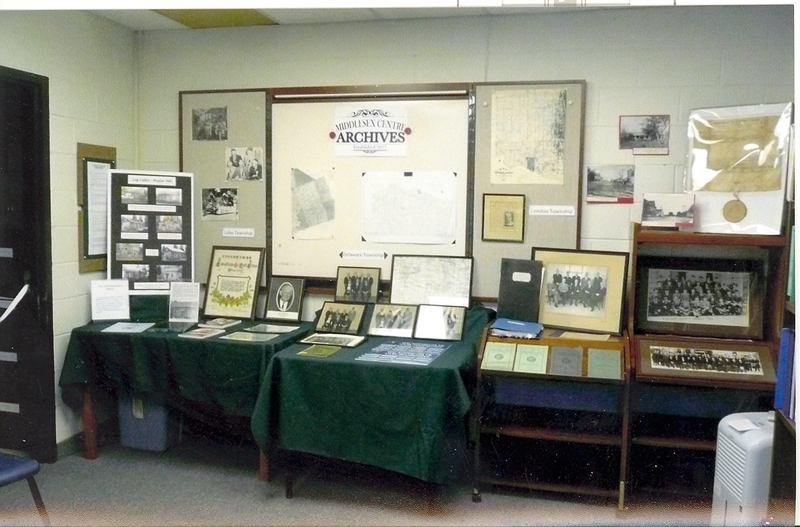 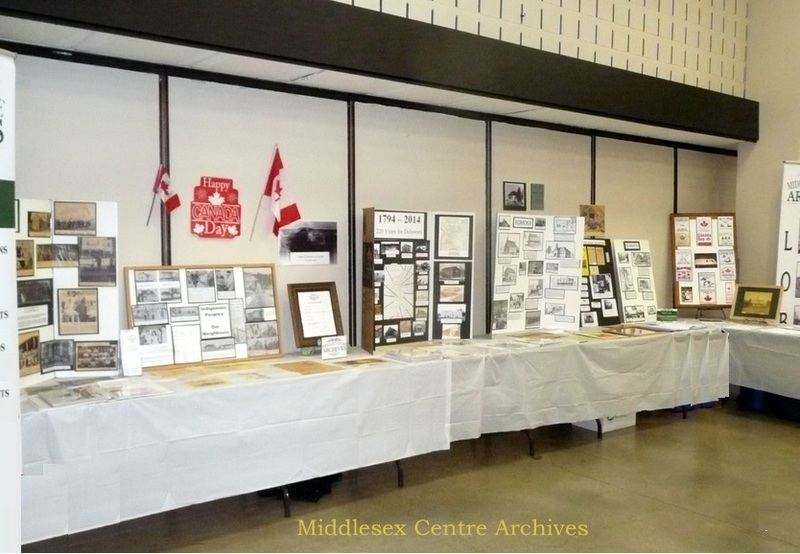 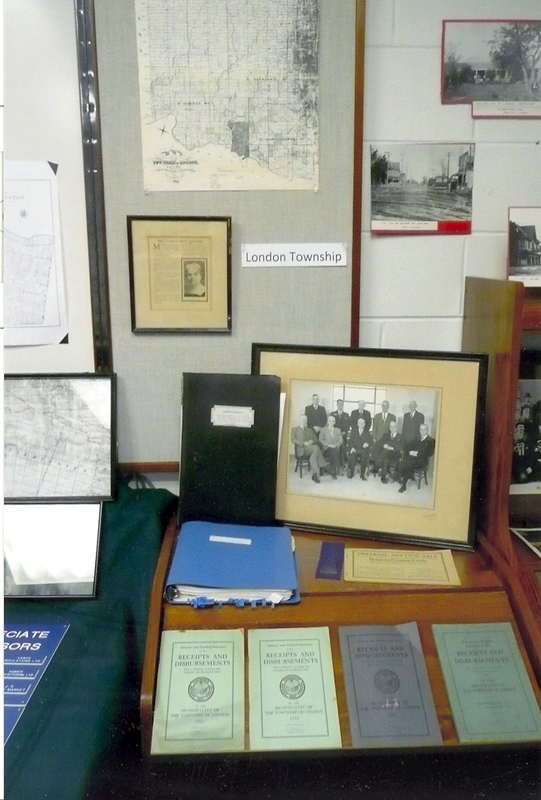 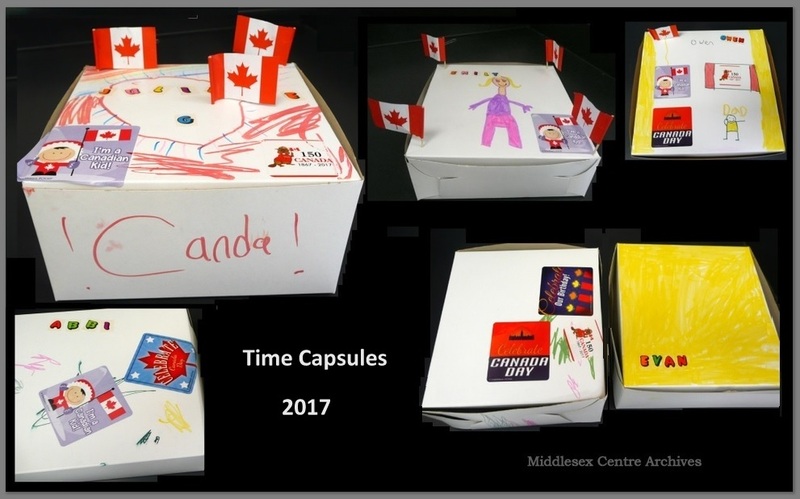 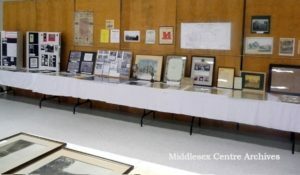 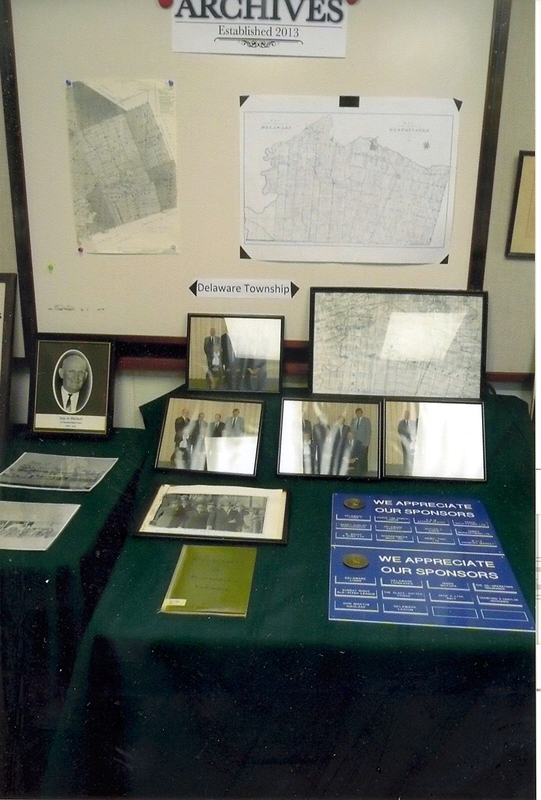 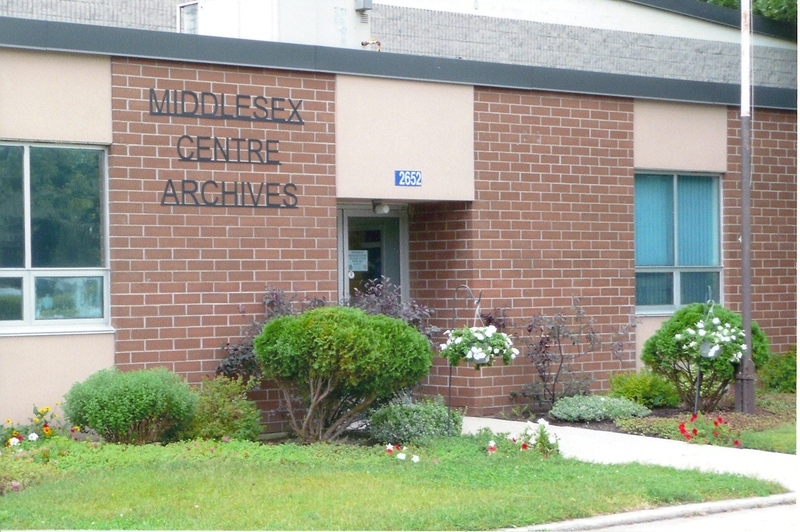 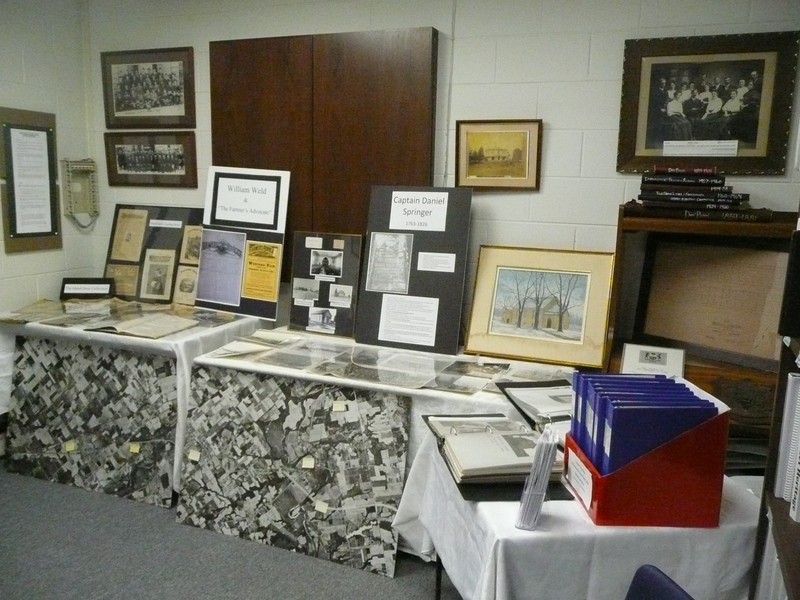 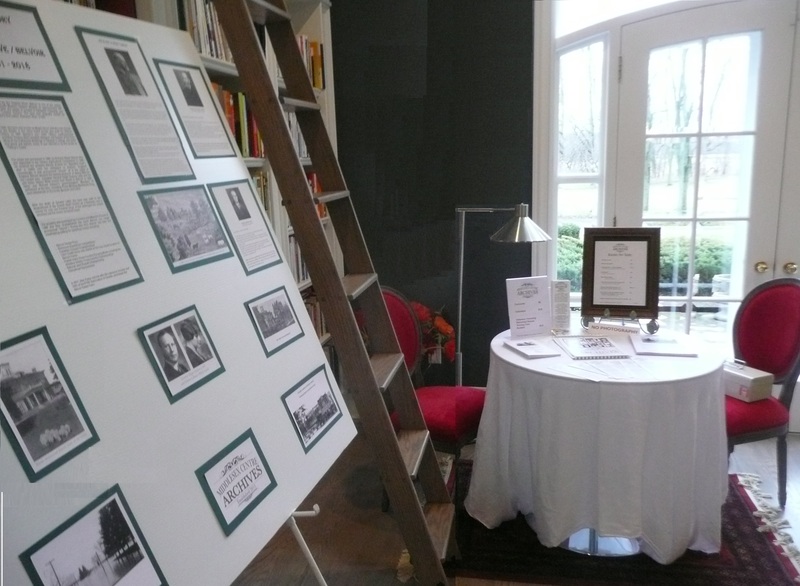 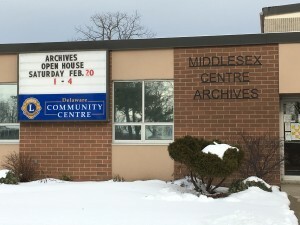 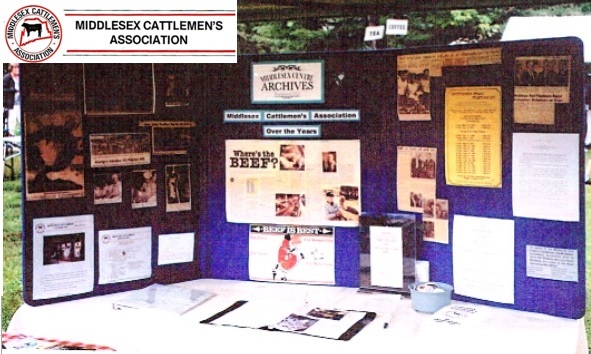 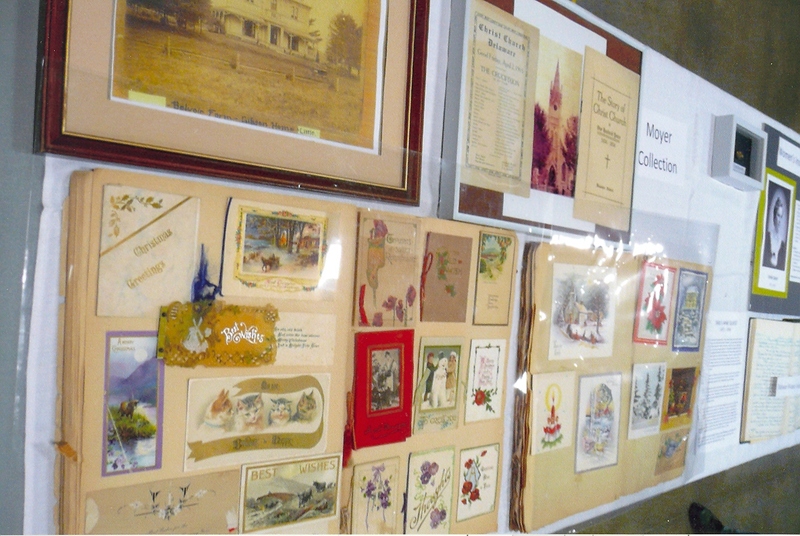 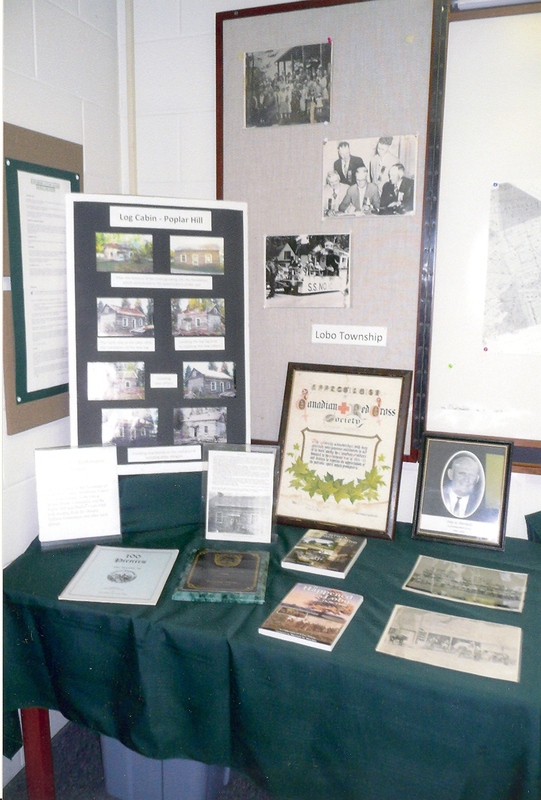 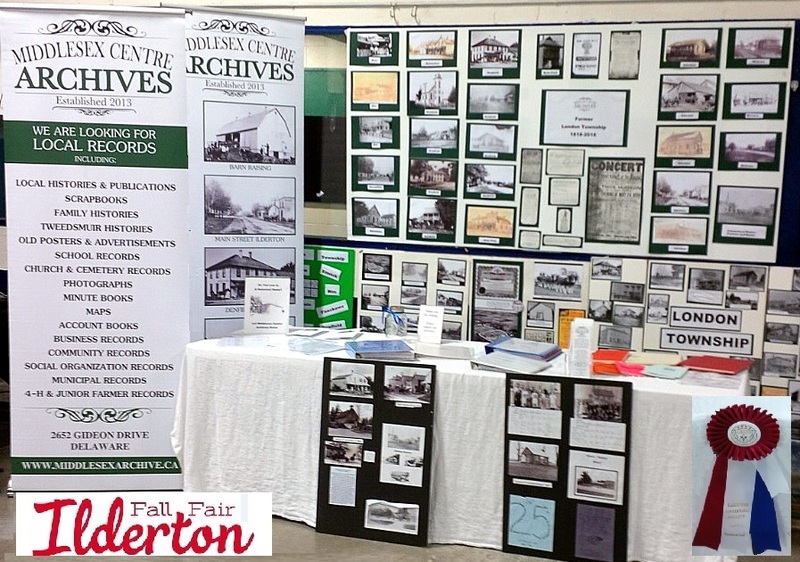 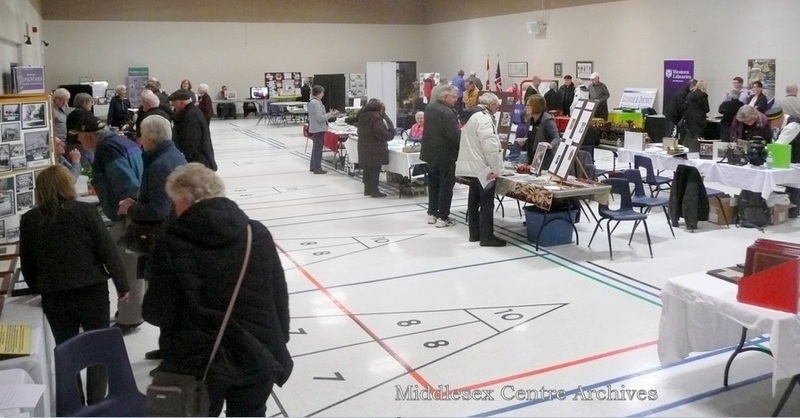 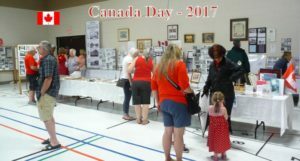 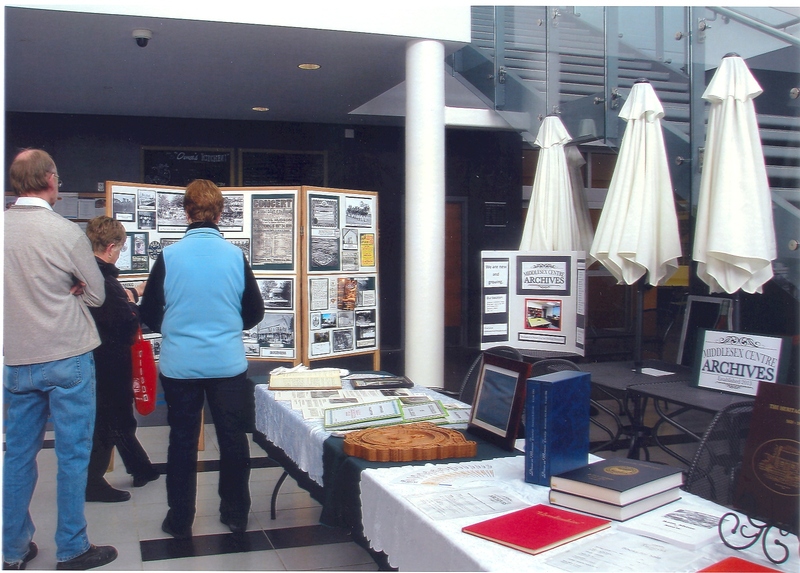 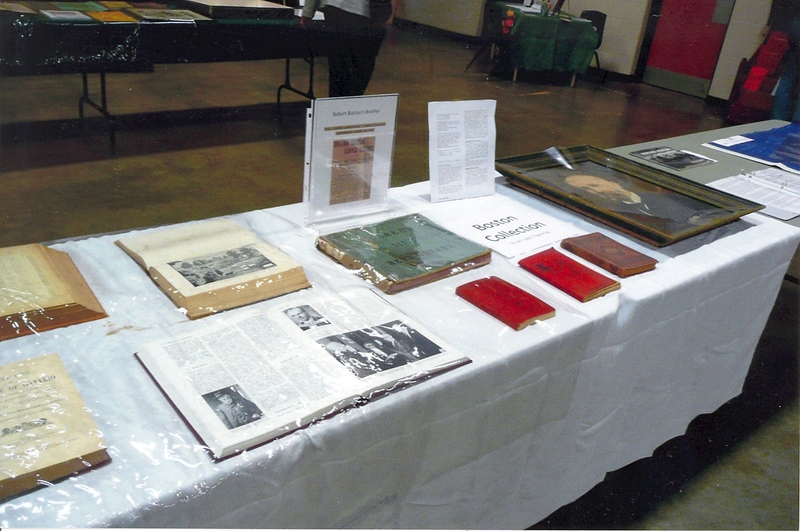 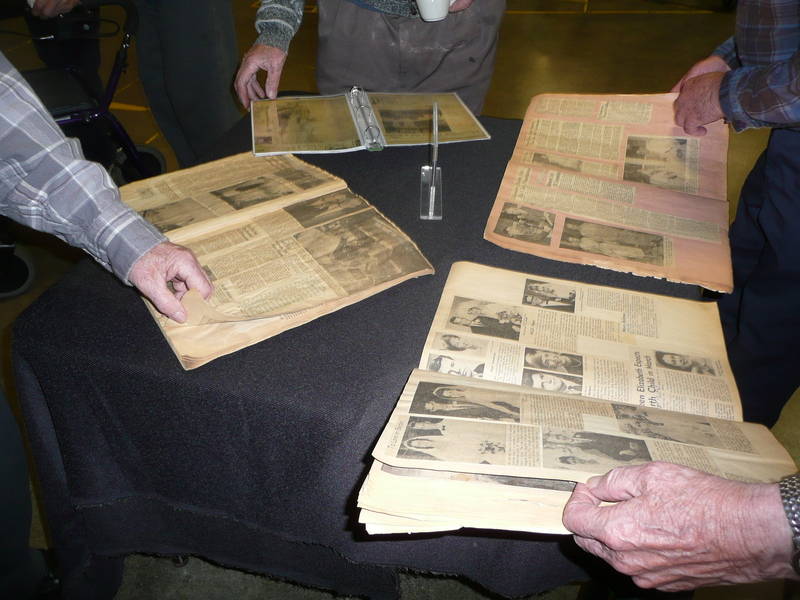 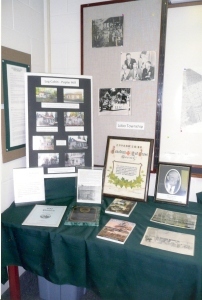 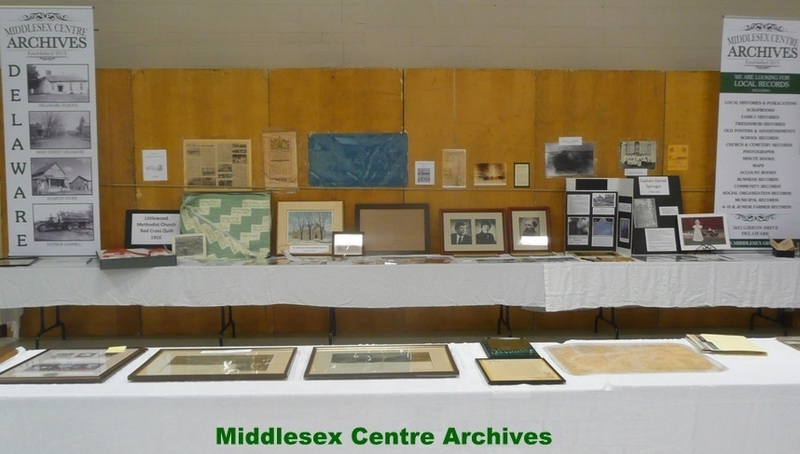 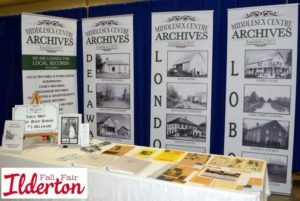 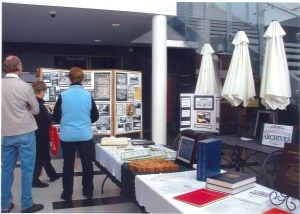 Archives display at the 2018 Delaware Lions Seniors Appreciation. 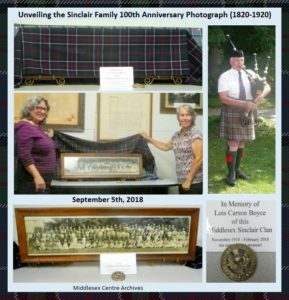 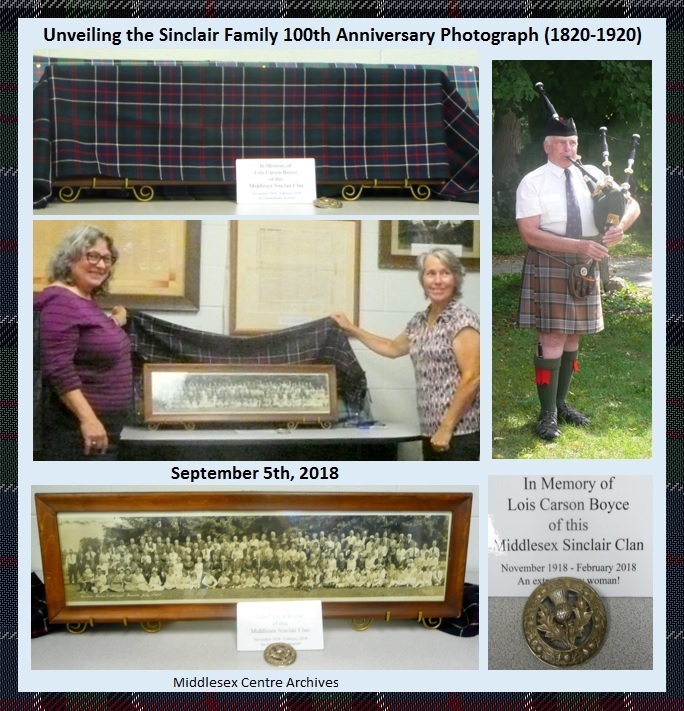 Visitors from B.C., New Jersey and Ontario unveiled and presented the Sinclair 100th Anniversary photo to the Archives.